If you want a backup of photos and videos and a full copy of all your comments, stories, and other Instagram data, you can download an archive. Facebook has come under tight scrutiny since the New York Times published details on how Facebook user data was used for political gain. Following the scoop, a trending topic online was if you should delete your Facebook account in protest of the companies handling of its user data. Although you’re likely well aware of this news, what you may not know is that Instagram, the popular photo and video sharing site is also a Facebook property since 2012. With this in mind, we thought our readers might want to know how to take a full inventory of the data Facebook has collected about you via its Instagram service. 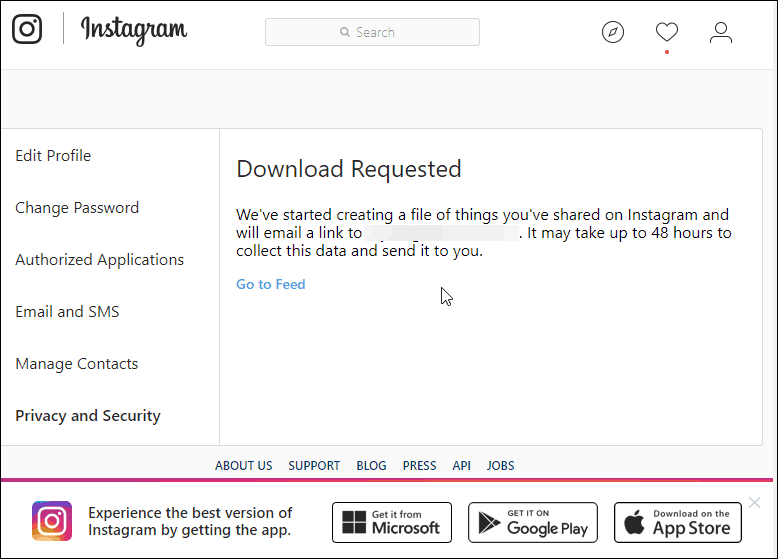 Similar to downloading your Facebook data, you can also download a full archive of all the data ever collected on your Instagram profile. You will be able to see all your posted videos, photos, comments, likes, searches, messages, and more. The process of downloading your profile data isn’t hard, but, the feature is buried deep in your profile settings. 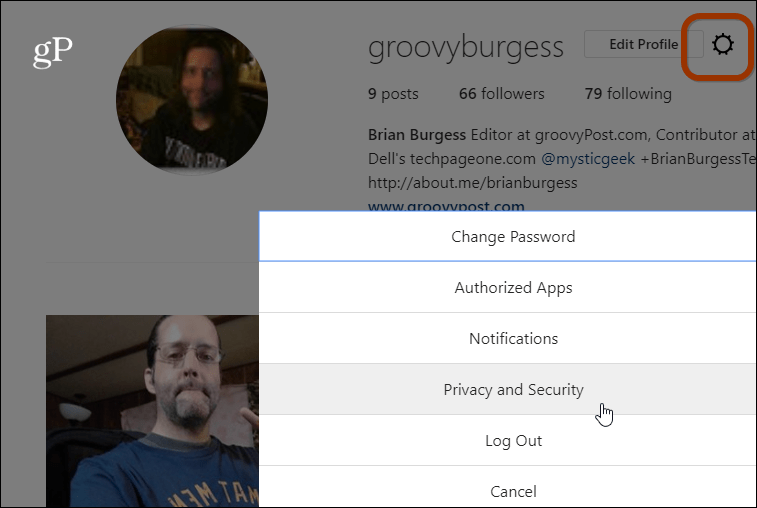 To get started, you need to log into your Instagram account via a web browser. You can’t download your data through the mobile app. Click on your profile and then click on the gear icon next to the “Edit Profile” button and select Privacy and Security. Now on the next page scroll down and choose the “Request Download” link under the Data Download section. Then you will be asked to enter in your email account and password for verification. Then click the Request Download button and you will see the message that your request can take up to 48 hours to complete. 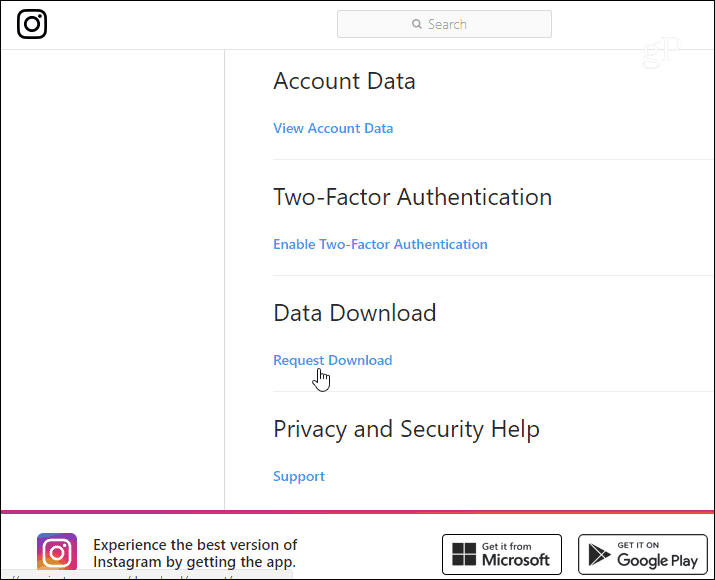 Then keep your eye out for an email from Instagram with a link to download your data. 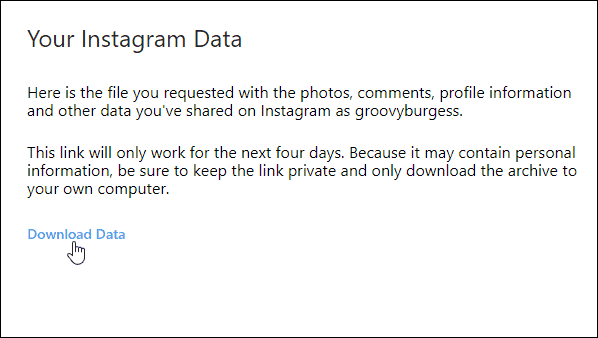 Again, you will need to log into your account on the Instagram page. There you go! Now you can download an archive of all your data. It will be one or multiple links to zip files that contain your data. The number of files you have will vary depending on the amount of content you have posted to the service over the years. 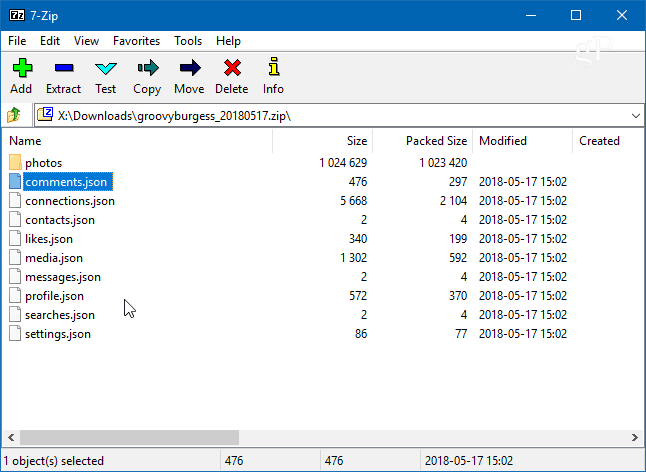 Each zip file will contain several folders that contain all the photos, videos, stories, comments, and other info you have posted to the service. You might be surprised to find how much data has been collected over the years! Make sure to store your archive of data in a safe location. We’re sure the majority of our readers know that Facebook owns Instagram, but you’d be surprised how many people don’t. For example, here is an interesting CBS article to check out: Most Americans don’t know Instagram is owned by Facebook. Protecting your privacy and security online is more important now than ever. Make sure you’re taking inventory of the data you’re sharing on social services, enable Two-Factor Authentication everywhere it’s available, use strong passwords, and a have a solid data backup strategy.